What does this have to do with my listing on Zentail? Prop 65 is short for "Proposition 65." Prop 65 is an initiative that California voters approved in 1986 to address growing concerns regarding exposure to toxic chemicals. 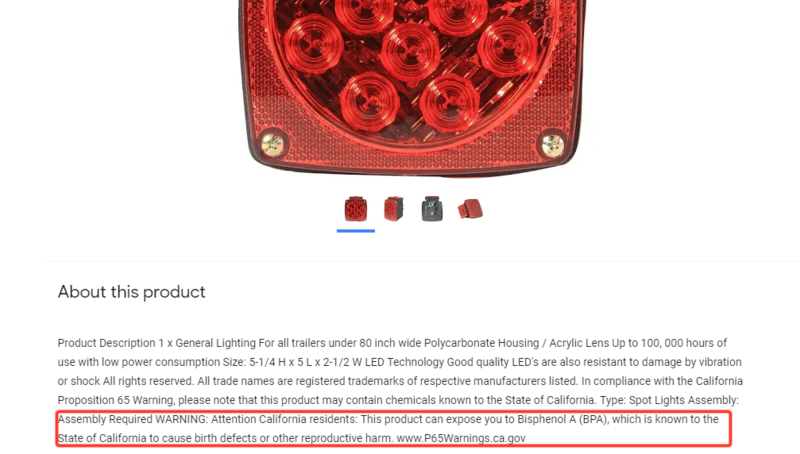 Prop 65 requires California to publish a list of chemicals known to cause cancer or birth defects for California consumers, and for businesses to display a warning to California consumers. In order to stay compliant with State law in California, you will have to display what chemicals you may have in the product you are selling so that California consumers receive the warning. In Zentail you can display a Prop 65 warning so that your product displays the warning across all the channels you are selling on. Navigate to the "Edit" button on any SKU in your catalog. Click the "General Info" tab. Scroll down to the "Legal" section. Toggle the "Requires Prop 65 Warning?" field to "Yes." Choose up to five chemicals included in the product using the following five dropdown menus. You can fill this field out for multiple products at a time by using the Import/Export feature or the QuickEdit feature on Zentail. Jet: Does not always display a warning on the product page, since all sellers link to the same listing.